Go in search of sunken treasures with this fascinating game. On your way you will meet many different marine life. 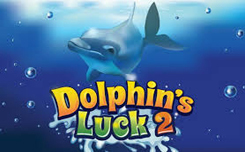 Dolphin’s Luck 2 – an exciting game on the underwater theme, consisting of five drums and 20 paylines. To receive payment, you need to catch at least 3 symbols on the active lines. Among the symbols you will find a seahorses, various fish, shrimp, shellfish, and also card names from 10 to A. Wild, represented by a shellfish with a pearl, replaces all other symbols in the game except for bonus ones. The 4th drum will always be completely hidden by Wild symbols. 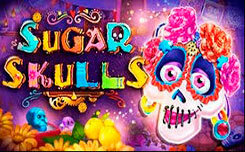 As for the Scatter symbols, if you manage to catch at least 3 of them in any places of the playing field, you will get 10 free spins. You can run a risk game after any win in the base game. There you have to guess the color of the pearl: black or white. If you make the right choice, then double your payout; but if you go wrong, you will return to the main game with nothing.